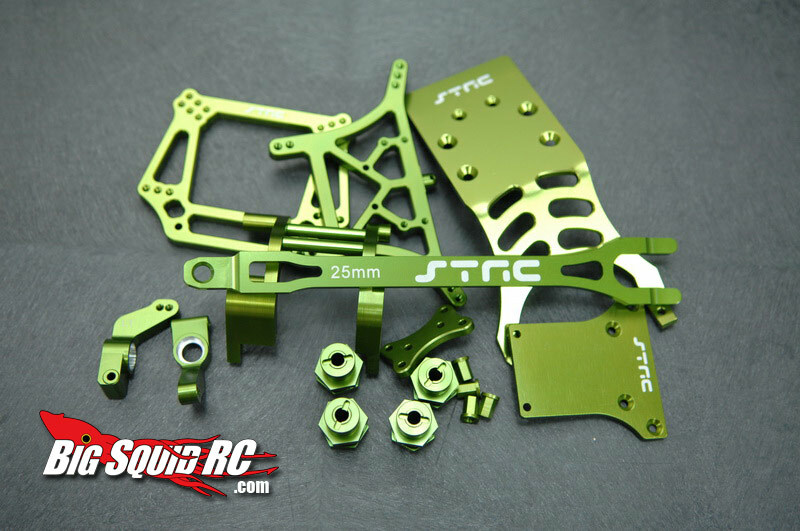 ST Racing Concepts – Green Hop Up Parts « Big Squid RC – RC Car and Truck News, Reviews, Videos, and More! The folks from STRC have sent word that will make other hop ups green with envy! The new parts are for the Slash 2WD and Monster Jam trucks. The hop-ups include a Aluminum Pro Racing Battery Strap, Front Body Posts, Slash 2WD LCG Conversion Kit, Rear Motor Guard, Front and Rear Shock Towers, Hub Carriers, 17mm Hex Conversion and Threaded Front Shock Bodies. Looking for other ST Racing Hop Ups? Click HERE.